A company’s brand, before anything else, is the first thing a potential client associates with a company. It is the first thing they will come in contact with and begin to make a judgement as to whether this will be the company that is suitable for their needs. In regards to brand loyalty, will your brand be the one that they come back to each time, build their lifestyle around, or create an emotional attachment to? In short, having a substantial brand is extremely important. How much does it cost for Brand Identity? It’s time to take the plunge toward a lasting impression. So how much should you invest? Are you rebranding? Do you even have a logo to start with? It can be a very daunting task when trying to figure out where to begin in building your brand. Like any real investment, the prices vary depending upon your needs and current standing. For companies, it can vary by the size and how well established one is as a company. Your brand is a serious, long-time venture and an essential business activity that you will have to put a lot of time and effort into. You want a good brand identity and to get that, one must look at it as an important investment not only financially, but also from a manner of time, just as you would the selection of your office space or any business equipment that furthers your businesses growth. Treat brand identity the same, if not better, and do your research on reputable design firms who can meet your requirements and decide just how much you want to put into the future of your brand. Research – Creative brief of what the business is and what their needs are. Clarify the vision and strategy. Brand Strategy – Identify brand strengths and weaknesses, target audience profiles, and evaluate competition. Sketches / Concepts – Imagine all the possibilities and placements of this brand as well as visualize the future of this brand. 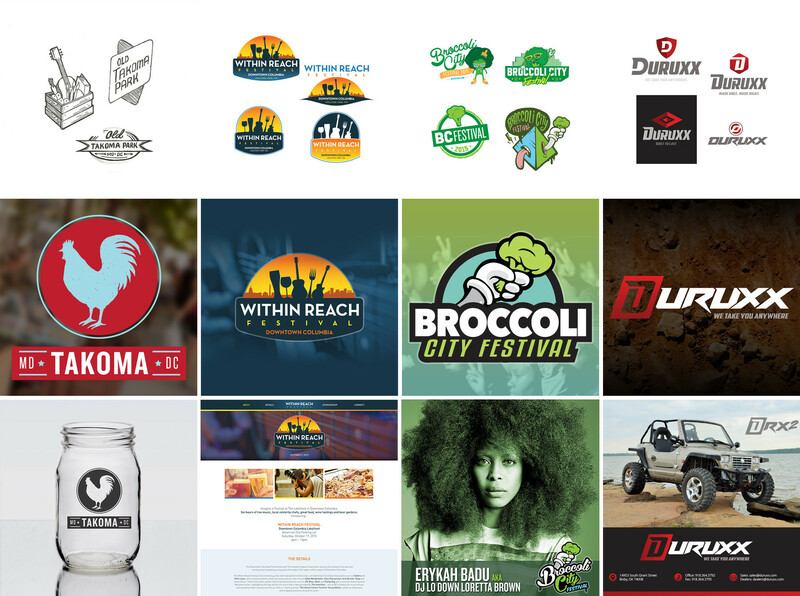 Mocks – From colors to typefaces, choose the right visual elements to mock and start to bringing the brand to life. Presentation – Present your new visual identity to the organization. Finalize – Prioritize the brand and use the elements with real content. Nine times out of ten, many established companies would rather not spend the money for a logo, let alone an entire branding package as it seems like a great brand identity is easy to attain since so many companies have great ones. This is the greatest lie one can tell themselves when trying to create a brand. The bottom line is: clients with great brand identities invested a lot into making them great (aka you get what you pay for). The more money and time you put into a seasoned design agency, the more likely you are to attain the brand identity you’ve envisioned for your company and one that delivers results. And that’s any company’s goal, right? Ready to spruce up your brand identity? Contact us today.